Finally, you can put the power of WD-40 to use in even the most awkward and annoyingly tight spaces, thanks to the long, flexible applicator of the product's new can. 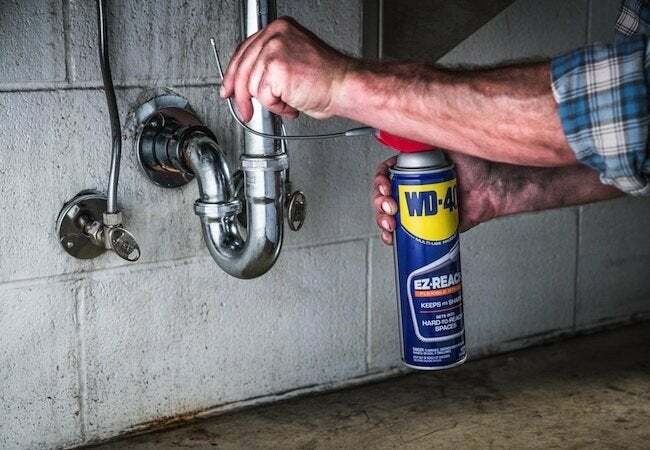 An essential at job sites, in workshops, and on garage shelves for more than 60 years, WD-40® Multi-Use Product has earned the trust of do-it-yourselfers by solving hundreds of problems in both household and professional settings. It works to un-stick, un-gunk, and protect virtually any item that has moving parts. Yet, while its multitasking formula and short, stiff applicator consistently delivered positive results, success still required very precise aim on the DIYer’s part and often necessitated stooping, twisting, or reaching awkwardly around. The product’s latest packaging, however, makes the go-to fixit a whole lot easier to use on a wide variety of projects. Fear not: The formula you’ve long relied on for repairs at home and at work remains the same. But now, the brand-new flexible straw on WD-40 EZ-REACH™ enables you to apply the tried-and-true solution in tight or inconvenient spots without having to twist yourself into a pretzel to get it where it needs to go. Using just two fingers, you can easily shape and reshape the eight-inch applicator into any angle, curve, or hook necessary to lubricate hard-to-reach cracks and crevices. The new straw can reach around corners, maneuver between staggered fan blades, and even arch over tall items to spray WD-40 exactly where you need it, providing greater precision with less time and effort than ever before. No more creaks. No more squeaks. No more frozen push buttons or pulleys. No more wasted product. Stock up, and say goodbye to scraped knuckles! We’ve rounded up five handy ways that the new flexible applicator on WD-40 EZ-REACH™ can make daily DIY projects and repairs a cinch. 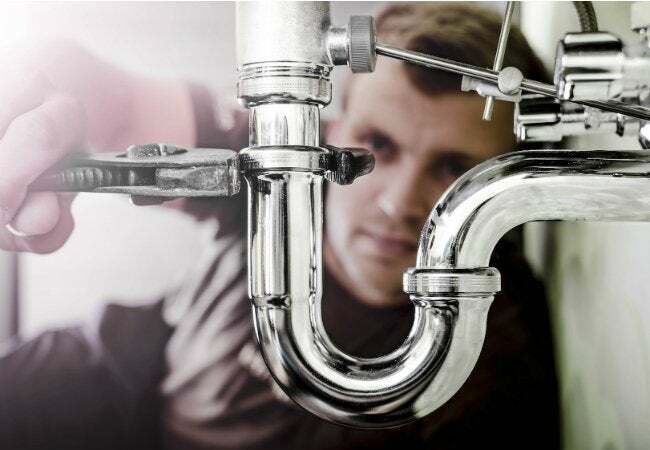 No need to scoot about and twist yourself into knots under the sink just to fix a clogged trap. With a can of WD-40 EZ-REACH™ in your arsenal of tools, you can lubricate the entire circumference of a stuck galvanized or metal plumbing joint by contorting your spray nozzle, not yourself. Simply twist and reshape the metal flex straw to hook around the back and sides of the connections. Saturate the joint thoroughly and give it a few minutes to work its magic before using a pipe wrench or water pump pliers to twist the connections loose. 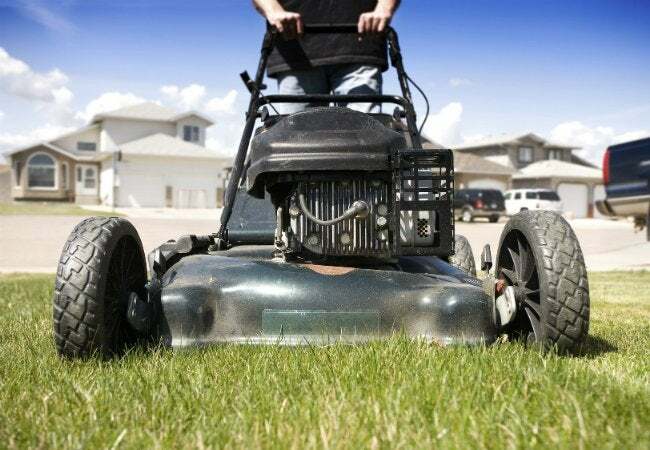 Savvy homeowners and professional landscapers alike know that clean lawn-mower blades create sharper cuts than dull, gunked-up ones—and already entrust WD-40® with keeping their mower blades cleaner for longer amounts of time. They’ve seen for themselves how the go-to lubricant makes it easier for grass clippings to slide off rather than stick during the job. But tipping the mower on its side after each run to remove the blade and apply a coat of WD-40® isn’t easy. With WD-40 EZ-REACH™, however, you’ll spend less time underneath the machine because it’s so much easier to reach behind the blade. Just bend the flex straw upward to direct the spray toward the blade and the undercarriage to help keep grass from sticking and limit hard grass deposits. 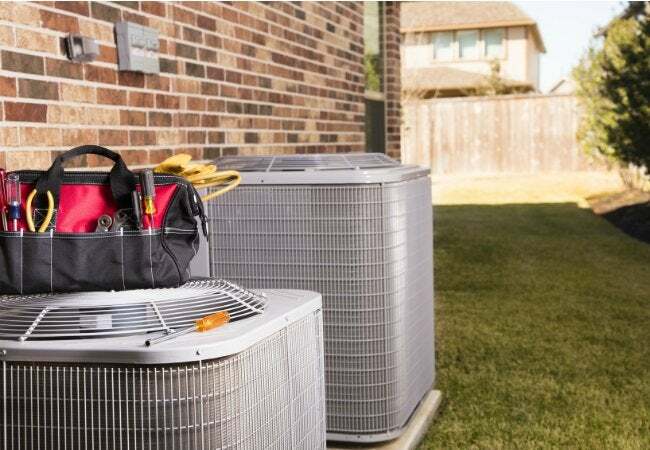 Shrill squeals every time the AC kicks on can drive you up the wall, especially when the ductwork carries that annoying sound throughout the house. With a little WD-40®, however, you can lubricate the HVAC blower fan assembly and achieve blissful peace and quiet. Before you tackle this repair, first turn off the breaker to the HVAC unit. Remove the cover from the squirrel cage fan, then bend the straw of the WD-40 EZ-REACH™ can to aim between the fins. Thanks to the straw’s pliable length, you’ll be able to easily and directly spray the shaft to help silence the squeaking. 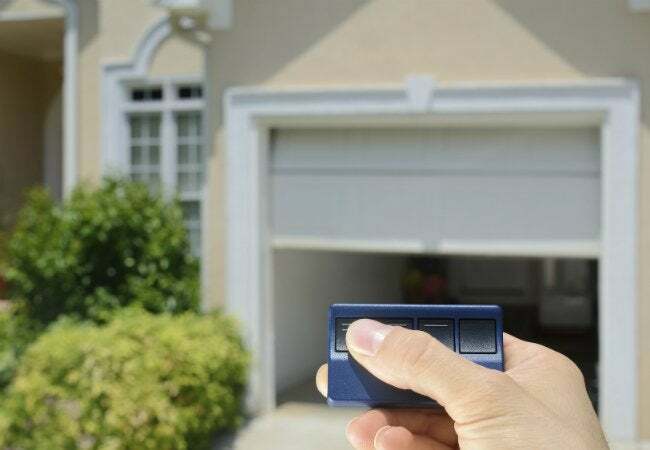 Over time, corrosion causes garage door opener chains to bind, putting unnecessary stress on the motor—enough to potentially cut its life short. Spare yourself the inconvenience and expense of replacement by preserving your current machine with a yearly application of lubricant. With the garage door closed, climb a step stool or ladder and let the hooked straw of WD-40 EZ-REACH™ provide just the boost needed to spray the opener hinges, pulleys, and tracks. You’ll want to coat the entire length of the track, from the door to the opener. The lubricant will cut friction, and ultimately extend the life of your garage door opener. 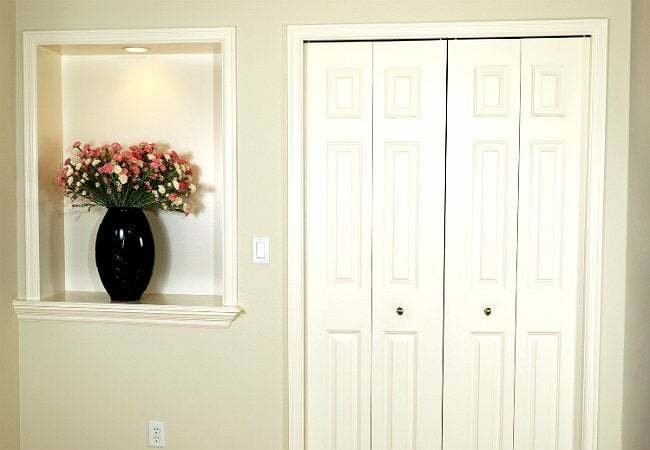 You probably already reach for WD-40® when it’s time to silence a squeaky door hinge, but did you know that you can also ease the motion of a sliding closet door, thanks to the new and improved applicator on WD-40 EZ-REACH™? With the door in its open position, bend the straw to reach above the wheel assembly, which is tucked between the top of the door and the trim. Lubricate the bottom tracks at the same time. While you’re at it, carry the can over to any pocket doors to smooth out the movement along their tracks in the same manner. Save yourself the hassle of any of these five home improvements by purchasing WD-40 EZ-REACH™ today. This is a sponsored conversation written by me on behalf of WD-40. The opinions and text are all mine.